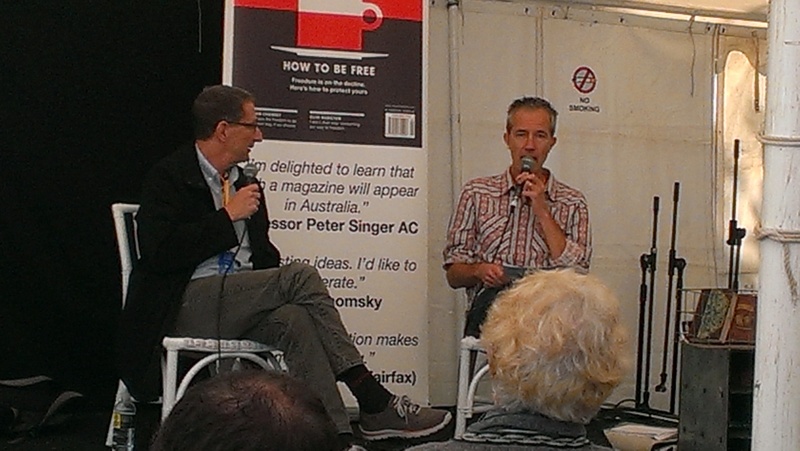 Last weekend I was at Byron Bay Writer’s Festival – it was one of the best events I’ve ever been too. I had three panels – each of the them challenging and reaffirming in their own way. First up was a panel on Sacred Landscape with Claire Scobie, Antony Louwenstein and Tasneem Chopra – great because we got Buddhist, Hindu, Jewish, Islamic and even some Christian perspectives on the subject. Then there was a discussion on ‘Guests in their Country’ looking at the ideas of forced and unforced travel – travel for recreation, travel for survival. For that panel we had Augustius Wibowo the Indonesian travel writer (a decade in Central Asia), Bhachung D. Sonam a Tibetan Poet and Catherine Hoang a Vietnamese-Australian writer and refugee advocate. Fascinating again because of the breadth of experience. This panel is going to be broadcast for the ABC’s Big Ideas series sometime in the Spring. 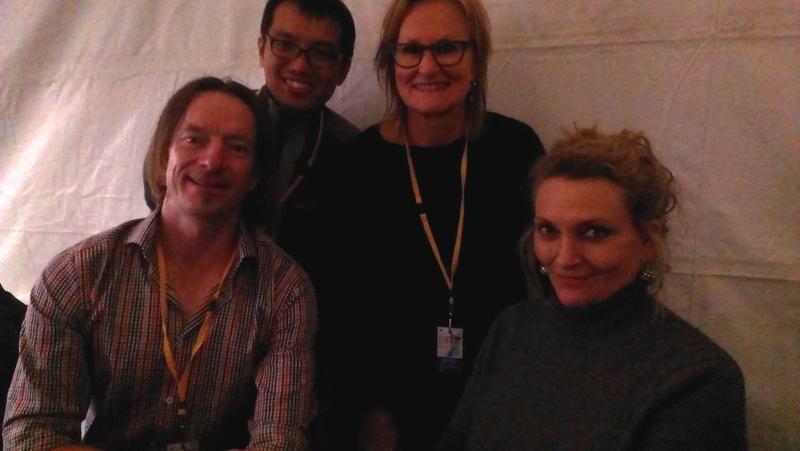 Myself, Augustius Wibowo, Christine Manfield and Robyn Davidson from the Travellers Tales panel. Finally there was panel on Travel Narratives with Robyn Davidson, Christine Manfield and Augustius again (whose book is currently being translated from the Bahasa and I can’t wait to read it). Most interesting part of the panel for me was the short discussion Robyn Davidson and I had about the power and privilege of being able to walk through landscapes such as the Western Desert and High Himalayas and how the experience changes you. David Finkel and Geoff Dyer in discussion. Beyond my panels I was able to catch up a on a few incredible writers top of the list were David Finkel and Jeanette Winterson. Finkel is the author of the Good Soldiers, possibly the best book written yet on America’s war in Iraq. He was in discussion with Geoff Dyer (a dream team there for me) and Dyer the polymath got right to the core of Finkel’s non-fiction process – How did he choose the characters for his new book? Finkel was eloquent in his explanation but as he got deeper into the story you could feel him getting more and more caught up in the tale until eventually he scratched his head looked at sky and declared “I’ve got to move on – I still get too worked up about this stuff.” Now that’s a real storyteller. 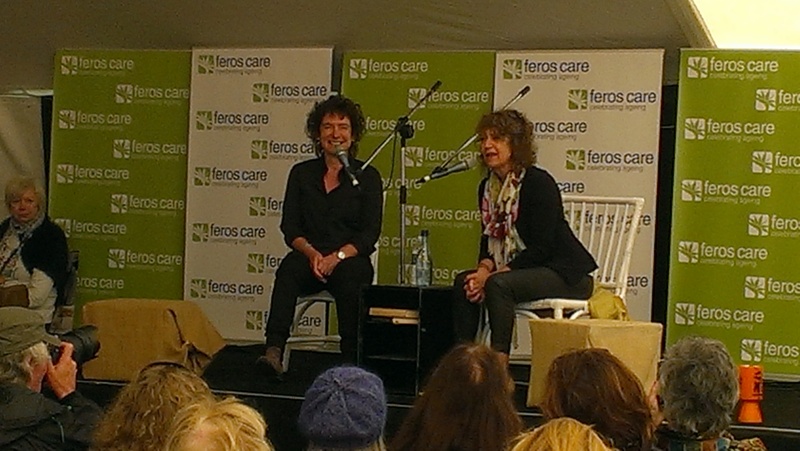 Highlight of the weekend for me might have been the discussion between Jeanette Winterson and Susie Orbach. Orbach wanted to try and get to the core of Winterson’s understanding of the relationship between “Craziness and Creativity” Winterson, who has suffered from depression, stated she didn’t believe there was a relationship, as she said, “I know lots of depressed people who are not Picasso or Van Gogh.” In fact she went on to say that she believes that creativity is a way to keep the imbalances at bay – it creates resilience in the brain. She was unbelievably cohesive in her arguments, I would definitely love to see her speak again – whow. 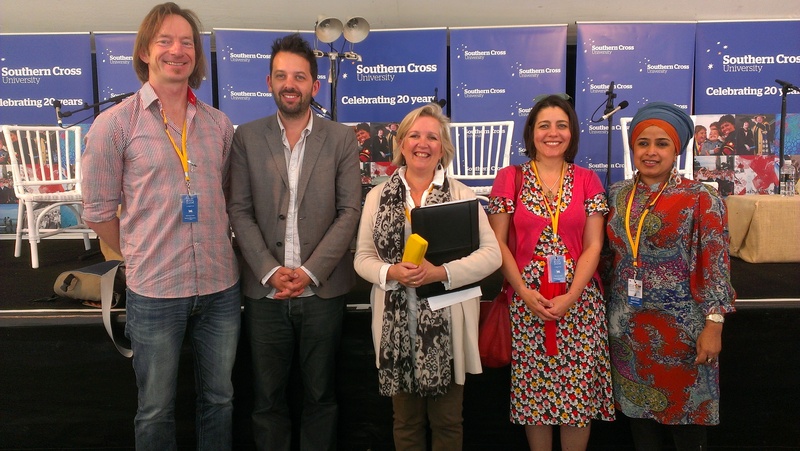 I was also at the Byron Bay Writers festival and I loved the experience. I was in the audience at your discussion with Robyn Davidson, Christine Manfield and Augustius and can I say, I absolutely loved the conversation. I went straight out and bought your beautiful book. Your such a descriptive writer and although I’m not yet half way into the book, I am enjoying it soooooo much. So thank you. !!! Your story has had a big impact on me and I’m very grateful for that. Hi Deb, really glad you’re enjoying the book. It was such an amazing experience for me over the many years of writing, Into the Heart… so it’s just great to get word from people like yourself for whom the story is really resonating. Thanks so much for taking the time to read it.